Finally, a warehouse solution designed to solve the needs of fashion brands! We started by rethinking the way inventory is presented. Instead of displaying inventory by SKU we display it by style and colour. WOW, This simple change makes searching, viewing and finding stock faster and more logical. Then we turned our attention to the Dispatch tab, refining it for online and wholesale orders. Now, you can search, pick and pack and invoice from a single screen. Indigo8 systems are built to save you time and money. Processes that may currently take days, will instead take seconds to complete. See what’s going on in your business; all from a single screen. Adding another warehouse? No problem. 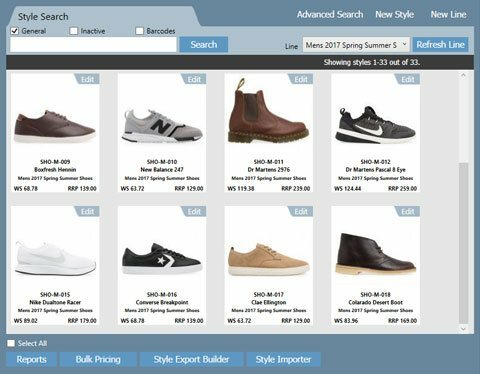 This solution is built for growing fashion brands. Do you run multiple web stores or integrate with 3rd party sellers such as THE ICONIC? Do you have problems syncing inventory across multiple channels? Then look no further, we have the solution for you. Effortlessly sync all your online channels so that when you sell stock from one location, that change is reflected across all. But wait there’s more.. All your sales from all your different stores come into our warehouse module. So that you can dispatch from a single solution. This solution currently works with the following systems. Indigo8 customers who use our Point of Sale solution get the same benefits as those from our website integration module, but with greater detail. Styles will automatically appear in your Point of Sale system. Stock can be transferred to stores directly from the warehouse at cost price or wholesale. This is apparel inventory management as it should be. Automatically fill and dispatch web orders from the best available location. 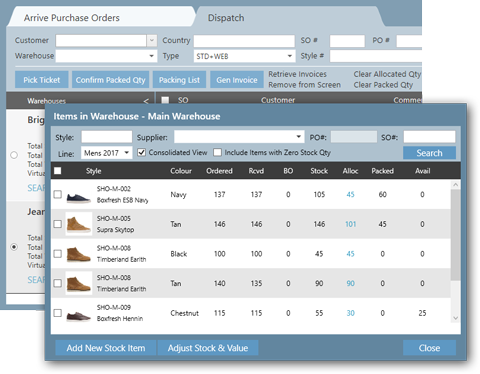 The system uses information such as inventory levels and distance from the delivery point to dispatch apparel from the most appropriate warehouse or store. Running a growing fashion business is hard work! Managing your sales orders, purchase orders, arriving and dispatching of inventory takes hours and, in the past, has required a Harvard degree in Excel but not anymore! 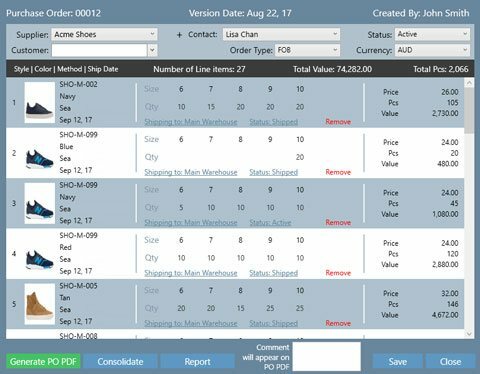 With Indigo8’s intuitive, visual interface you are now able to manage these apparel business necessities through the single system. When you add our integrations to this, things get even better. Find out more about our integration options here.